We have a seat here for YOU! 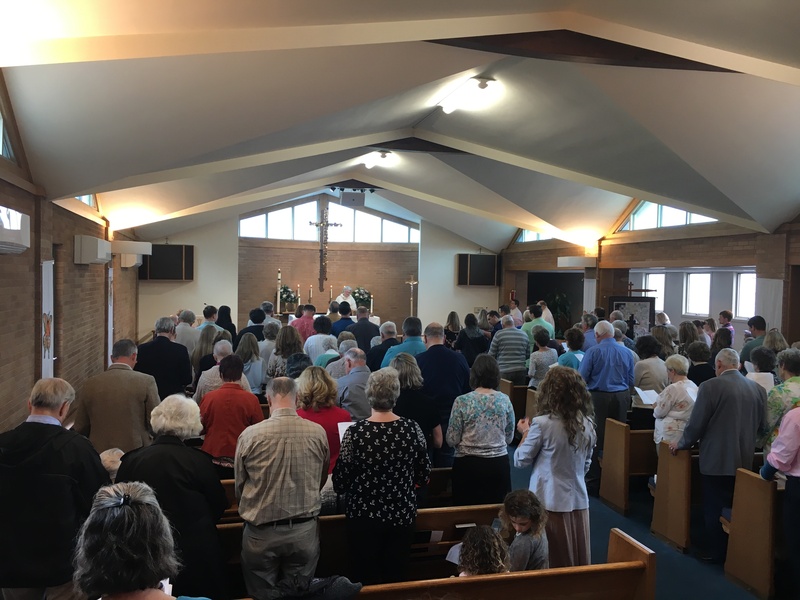 We offer a traditional worship service found in most Evangelical Lutheran settings. 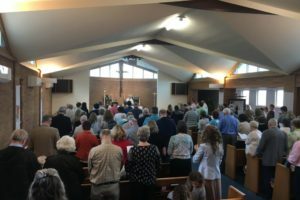 Every service is a combination of traditional hymns, Biblical readings, and a sermon. Holy Communion is celebrated at all three services every weekend of the month. We offer an open table for communion, which means you can participate in communion at Faith if you have received instruction or take communion at your home congregation.Please come as you are. Dress ranges from casual to business casual. In the back of each hymnal you will find a helpful guide to Worship at Faith, which includes a map of the building and other useful information, designed to help our visitors feel at home. Please make sure that you introduce yourself to the Pastor, who will be pleased to know that you chose to visit Faith. Faith is an Evangelical Lutheran Church, and part of the Evangelical Lutheran Church in America (ELCA). 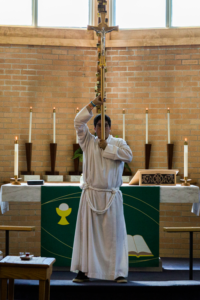 At Faith, our mission is “to assemble believers of the community, to preach the Gospel, to administer the sacraments so that we may be strengthened in in faith through the Holy Spirit, and to spread the knowledge of our Lord in our daily lives”. Lutherans believe in the Triune God, Father, Son, and Holy Spirit. God created and loves all of creation –– the earth and the seas and all of the world’s inhabitants. We believe that God’s Son, Jesus Christ, transforms lives through his death on the cross and his new life, and we trust that God’s Spirit is active in the world. 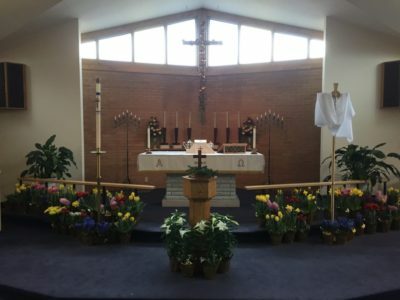 The ELCA website offers a wealth of information for those unfamiliar with the Evangelical Lutheran tradition, and we encourage you to visit this website if you have more questions regarding our beliefs. The frequently asked questions on the side panel will direct you to the areas of the ELCA website that address the most common questions. 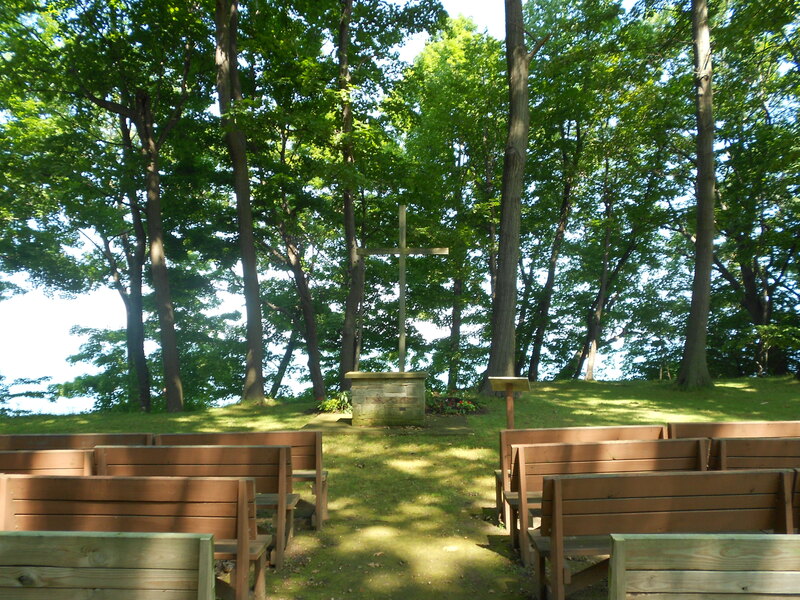 While this service is offered year-round, during the summer months, we take advantage of our location on Lake Erie and worship in our outdoor sanctuary, as weather permits. During inclement weather, worship is held indoors.